The Earth has “an ultra-social, super-cooperative species” in Orcinus orca. Based on neuroanatomical indices such as brain size and encephalization quotient, orcas (and delphinids in general) are the non-human animals closest to humans in intelligence. Orcas are particularly noted for their unique cultures. The worldwide distribution of orcas is subdivided into a number of ecotypes each with unique vocalizations and behaviors. Orcas are believed to be self-aware as indicated by the mirror self-recognition test. Captive orcas apparently enjoy watching themselves in video replay. Presumably they comprehend abstract representations of themselves and compatriots, projected into the past. 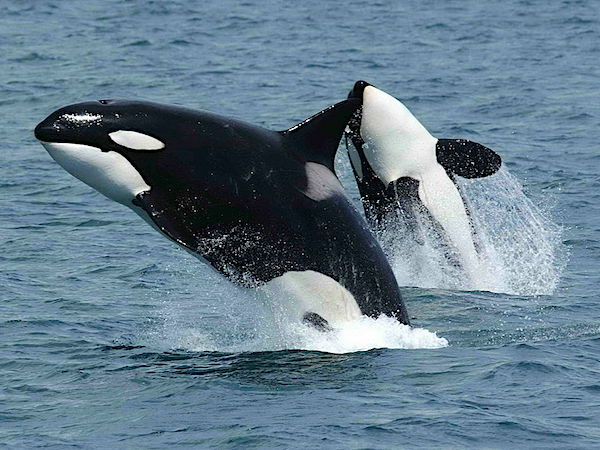 As supremely social beings, orcas demonstrate a strong functional morality. Do they have abstract concepts of morality? What is the case for orcas as moral beings who are owed moral consideration? The various orca ecotypes occupy particular but overlapping regions of the ocean. Different ecotypes consume different prey: fish, sharks and rays, or marine mammals. This allows them to occupy overlapping territories without competition and in relative peace. Orcas exhibit a several year delay between the normal bearing of young following having achieved the physiological capability—a moral concept or rational practicality? Orcas are apex predators and pure carnivores. Some ecotypes eat marine mammals. They have even been observed to take moose swimming between islands. Yet, when orcas encounter humans, they benignly ignore them or treat them with mild curiosity or even attempt friendly interaction. It is frequently asserted that there are no confirmed cases of a wild orca killing a human and only a very few cases of harming a human. This is at significant odds to the behavior of any other apex predator towards humans. Even though (non-predator) elephants are highly intelligent and also capable of passing the mirror test, there are many cases of wild elephants killing or injuring humans. One is compelled to consider the possible implications of this unique orca behavior toward humans. Humans and orcas have evolved separately for more than 90 million years. Humans became superb tool makers. The aquatic environment provides significantly less advantage for tool use (due to buoyancy and fluid friction) and less opportunity for tool manufacture. Orca intelligence is directed quite differently from human. However, the neural structures governing instinctive sociosexual behavior have remained all but unchanged in vertebrates for 500 million years. While orcas and humans are intellectually divergent, they are emotionally and socially quite similar. Orcas demonstrated empathy and awareness of human emotions. Orcas appeared to greatly value trust and repeatedly tested their human friends. Orcas seemed concerned to know whether humans understood that the orcas had no intention of harming them. Orcas were not observed to practice so called “tactical deceptions” except as a setup for playing apparent pranks. Humans and chimpanzees are noted for misleading other members of their social groups to the advantage of the deceiver. Although rigorous scientific proof is lacking, there is a significant body of circumstantial evidence that orcas are moral beings who can contemplate abstract concepts, such as another species being morally equivalent to themselves. This evidence is sufficient to raise reasonable doubt that humans can continue the status quo regarding their treatment of orcas without having committed a grave moral wrong. At the very least the orca capture industry should be abolished, and current captives re-patriated or retired to seaside sanctuaries. Ideally, remaining doubts about orca “personhood” should be addressed through licensed research that respects the individual dignity of orcas. Perhaps wild orcas and humans could experience a sort of “intercultural immersion” at certain designated meeting places, allowing the orcas to choose whether such interactions occur. This could be in addition to better record-keeping regarding the interaction of captive orcas with their human caregivers/companions, preferably in seaside sanctuaries and away from the stresses of oceanarium life. The window for learning more about this species in this manner may be closing, as a whole host of threats to Orcinus orca are growing due to the rapidly-expanding human population’s effects on other species and the ecosystems they rely on. 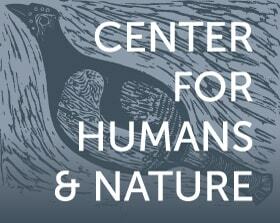 1) Traditional human moral systems incorporated ethnic and cultural specifics. This makes evolutionary sense in that socially positive behavior is adaptive at the tribal level, while socially negative behavior is maladaptive. In more recent history we have accepted moral concepts that apply more broadly to the human species. What would be the abstract basis of a moral system that encompasses social interactions between two species? 2) Orcas established use of marine ecosystems prior to use by Homo sapiens. Rapid encephalization in the orca line of evolution preceded that of humans by around 10 million years. Orcinus orca has existed for at least 700,000 years while Homo sapiens dates back only 200,000 years. Prior use is a legal concept that establishes rights in various contexts such as water appropriation. 3) Humans and chimpanzees are fairly unique among animals in that they practice both high levels of tactical deception and organized violence against adjacent social groups. Much of human theology, law, and moral concepts deal with this circumstance. Orcas have relatively minimal use of tactical deception and live in relative peace among adjacent social groups. As a result, orca moral concepts might seem quaintly innocent by human standards, or perhaps orca morals have been far more efficacious in application. 4) Many humans are concerned over the ethical issue of killing sentient beings, particularly for consumption. Orcas are pure carnivores and must kill sentient beings to survive, yet they appear to be moral beings capable of abstract moral contemplations. Is the moral wrong of such killings thus species relative and not a moral absolute?